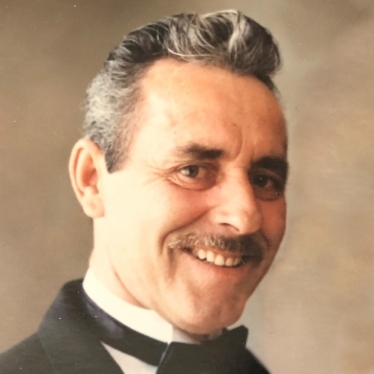 Renaud Joseph Pelletier, 82, of Bristol, died on April 4, 2019. He was the husband of Antoinette Pelletier and were married for 52 years. He was born in New Brunswick, Canada on November 2, 1936, the son of the late Alphonse and Emelia Pelletier. He was a long time expert carpenter and builder in Bristol and an avid Montreal Canadian Hockey fan and Boston Red Sox fan. He was a member of St. Matthew Church in Forestville. He is survived by his wife Antoinette, four daughters Susanne Skaradosky and husband David, Karen Pelletier, Linda St. Pierre and husband Rodney, Lisa Pelletier and husband Ben Collins; six grandchildren, Justin, Stephen, Chantel, Amanda, Lindsay, and Kiley; brother Ivan Pelletier of Springfield, MA; three sisters: Solange Michaud of Ontario, Canada, Ann Carroll of New Brunswick, Canada, and Gaetanne Vallee and companion Daniel Desjardins of Bristol. He was predeceased by his siblings Joel Pelletier, Alphee Pelletier, Aline Moore, Odette Lebel, Wilda Pelletier and Cecile Martin. There will be no calling hours. A Mass of Christian Burial in honor of Renaud will be celebrated on Wednesday, April 10, 2019 at 10:00 a.m. at St. Matthew Church, 120 Church Ave., Forestville with burial to follow at St. Joseph Cemetery in Bristol. A reception will follow at Nuchies Restaurant in Forestville. Flowers and donations can be sent to Linda St. Pierre c/o Funk Funeral Home, 35 Bellevue Ave, Bristol, CT 06010. Please visit Renaud’s memorial web-site at www.FunkFuneralHome.com.